Brazil forward Neymar, left, celebrates with teammate Richarlison after Richarlison scored a goal in the first half of a football match against El Salvador, Tuesday, Sept. 11, 2018, in Landover, Md. Neymar earned a yellow card for yet another dive. 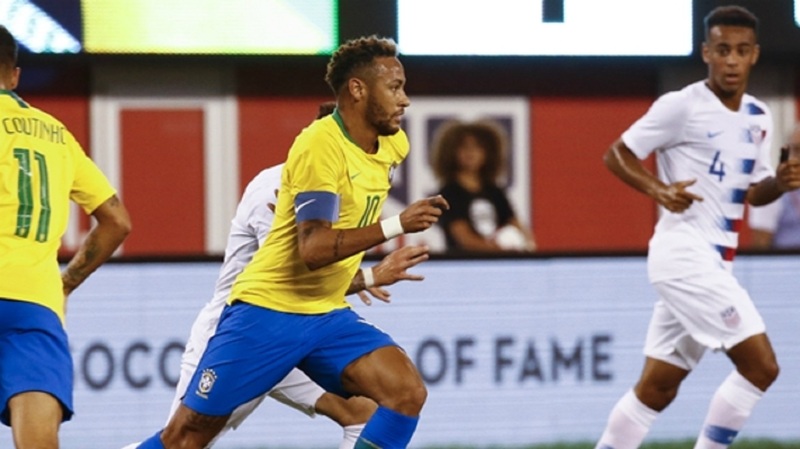 He had already converted a penalty kick and assisted on two goals when he took on defender Bryan Tamacas in the 44th minute of Brazil's 5-0 rout of El Salvador on Tuesday night. Jair Marrufo, one of the American referees at this year's World Cup, gave Neymar an immediate yellow card after the minimal contact. 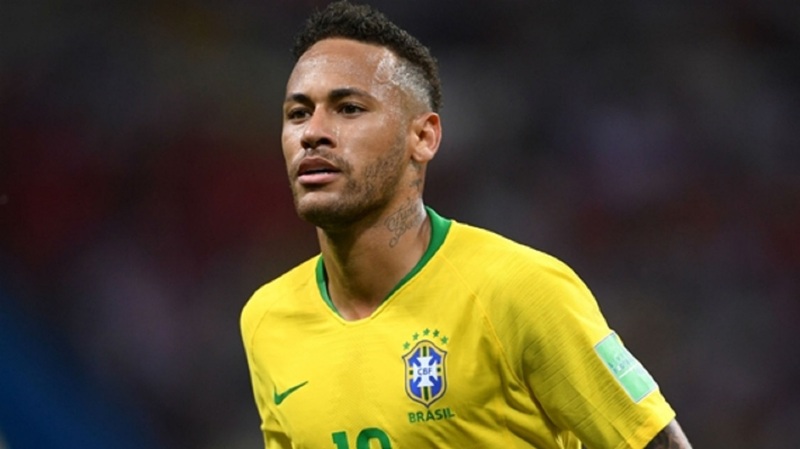 "We know we suffered after the World Cup, myself in particular, so to be back with the team is an honor," Neymar said through an interpreter. "And to be back winning, making goals, and helping my squad mates in the best way possible." The crowd was less than half the 67,619 who attended the Selecao's previous appearance at FedEx Field, against the U.S. in 2012. Neymar hit the crossbar in the 22nd minute, Coutinho scored from Neymar's squaring pass in the 30th minute and Richarlison got his second goal in the 50th when he pounced on a loose ball. Neymar's corner kick in the 90th minute was headed in by Marquinhos. "So we leave here with our heads held high" Neymar said. "It was very good to see everybody grow as a team."